When people talk about a 401(k) and pre-tax contributions, they mean that the money you contribute to such a retirement account isn't subject to federal income tax. Instead, you pay tax on the money in the account when you withdraw it for retirement. Individual retirement accounts work separately, except the 401(k) tax deduction effectively comes when money is taken from your paycheck while you must wait until you file your taxes to claim the IRA tax deduction. A 401(k) is a retirement account that employers can set up for their employees. You generally contribute to it through automatic deductions from your paycheck each pay period, and the money you contribute to the account isn't taxable on your federal income tax return. Some employers will also match a portion of your 401(k) contributions. When you withdraw money from a 401(k) starting at age 59 1/2, you pay tax on the withdrawn funds at your ordinary income tax rate. This can save you money in the long term, especially if you'll be at the same or a lower tax rate when you retire. If you withdraw money early, you generally must demonstrate some sort of hardship and pay a 10 percent penalty in addition to paying the deferred taxes. When you leave a job, you can generally roll your 401(k) over to a new employer's retirement plan or to a rollover IRA without a penalty. A traditional IRA works according to a similar logic. You open an IRA for yourself at a brokerage, bank or other financial institution of your choice, and you contribute to the account while you're working. 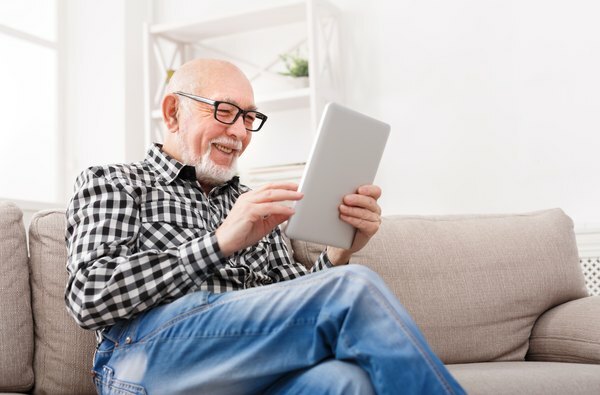 You can contribute up to $5,500 per year of earned income or up to $6,500 per year if you're 50 or older, and you can make contributions up until your tax filing deadline, generally around April 15. You deduct the amount of money you contribute to your IRA from your taxable income. When you withdraw money from a traditional IRA, you pay tax on it at your ordinary income tax rate. If you make withdrawals before age 59 1/2, you must pay an additional 10 percent penalty unless certain exemptions apply. SIMPLE and SEP IRAs are special types of employer-sponsored accounts that work similarly to traditional IRAs once they are funded. A SIMPLE IRA is funded with a mix of employee contributions, using pre-tax dollars, and employer contributions. A SEP IRA is funded solely by employer contributions. Both account types are designed primarily for small businesses, including self-employed people. You face the usual 10 percent tax penalty if you take money out of a SIMPLE or SEP IRA before you turn age 59 1/2. If you take money out of a SIMPLE IRA early within the first two years you've had the account, that penalty can rise to 25 percent. Contributions to a traditional 401(k) are pre-tax, meaning that you fund the account with money before your income is totaled for tax purposes. Similarly, traditional IRA contributions are deductible from your income. Another type of account, called a Roth account, lets you fund retirement accounts including eligible IRAs and 401(k)s with post-tax dollars, meaning you pay income tax as you usually would on your earnings. In exchange, when you withdraw money from a Roth account in retirement, you don't pay any additional tax, including on earnings in the account. This allows your savings to grow without additional taxation and can be especially useful if you anticipate being in a high federal income tax bracket when you retire or making a lot of money on your investments. Generally, if you make an early withdrawal from a 401(k), you must pay income tax plus the additional 10 percent penalty. There are a few exceptions for hardship situations like high medical expenses. You can, however, roll over 401(k) funds into a rollover IRA when you leave a particular job. IRAs have laxer rules about when you can withdraw money without penalty. They also often have more investment choices than 401(k)s, so it can be worthwhile working with your financial institution to roll the money into an IRA once you move on to a new position. Traditional IRAs are also subject to early IRA penalties of 10 percent if you take money out before age 59 1/2. There are more exceptions to the penalty than for 401(k) accounts, though you'll still be subject to income tax on any withdrawals, early or not. You can take out money if you use it to pay medical expenses in excess of 7.5 percent of your adjusted gross income or to pay for health insurance for yourself and your family if you are unemployed. You can also often withdraw money without the 10 percent penalty if you are called to active duty from the National Guard or military reserves or if you become severely disabled. You can withdraw money without paying a penalty for certain educational expenses for yourself or your family. Additionally, if you are buying your first home, you can withdraw up to $10,000 from a traditional IRA without a tax penalty for related costs. Since the money you put into a Roth IRA is already taxed, there are special rules about early withdrawals. Generally, you can withdraw the money you contributed at any time without penalty, though you'll be effectively forfeiting additional tax-free growth on those funds by doing so. If you withdraw earnings early, though, you'll owe tax on them and be required to pay the usual 10 percent penalty. The IRS assumes that you withdraw your initial investment before withdrawing earnings from a Roth IRA for these tax purposes. If you have a traditional IRA or 401(k), you must start taking withdrawals, or distributions, from it once you turn 70 1/2. The IRS publishes tables that show how much you must withdraw each year based on your age and how much is in your accounts. You can also find online calculators, including some from brokerages that offer such accounts, to help you find your required distributions. If you don't take the required minimum distribution each year, you can face a tax penalty of 50 percent of the difference between the required minimum distribution and what you actually withdrew. This is higher than any ordinary federal income tax rate, so you will usually owe more tax by not taking the distribution than you ever would by taking it. Roth IRAs don't have required minimum distributions, and if you inherit an IRA from someone, there are separate rules about when and how much you must withdraw from the account. If you own stocks, bonds or other investment securities outside of a retirement account, they have their own special tax rules. If you hold on to securities or other investments, like real estate, for more than one year, you generally pay tax when you sell the asset at the long-term capital gains rate, rather than your ordinary income rate. Long-term capital gains rates are either 0 percent, 15 percent or 20 percent, depending on your income level. You generally don't owe tax until you sell the stock, although if it pays a dividend you must pay tax the year the dividend is paid. If you lose money on a stock, you can claim a capital loss when you sell it. Capital losses are deductible from capital gains, and you can also deduct up to $3,000 per year in capital losses from your ordinary income. You can rollover unused capital loss deductions to following years until they're exhausted. CNN: How Does a 401(k) Plan Work?